The Death of the Superhero - Who Do We Believe in Now? It’s a little disappointing to think that, even with the current spate of DC Comic and Marvel movies coming out, nothing can save the world now from Donald Trump except maybe Hilary Clinton. Even Anonymous have been powerless against The Don. Infighting and conflicting ideologies amongst those virtual whizzes of 4chan have brought them unstuck in the face of their foe. Wishing for someone to unite us all and protect the earth from global warming and other forms of Kryptonite is looking futile. Even Batman and Superman are now at each other. What’s a world to do when politics is more powerful than hope and superheroes have lost their strength? 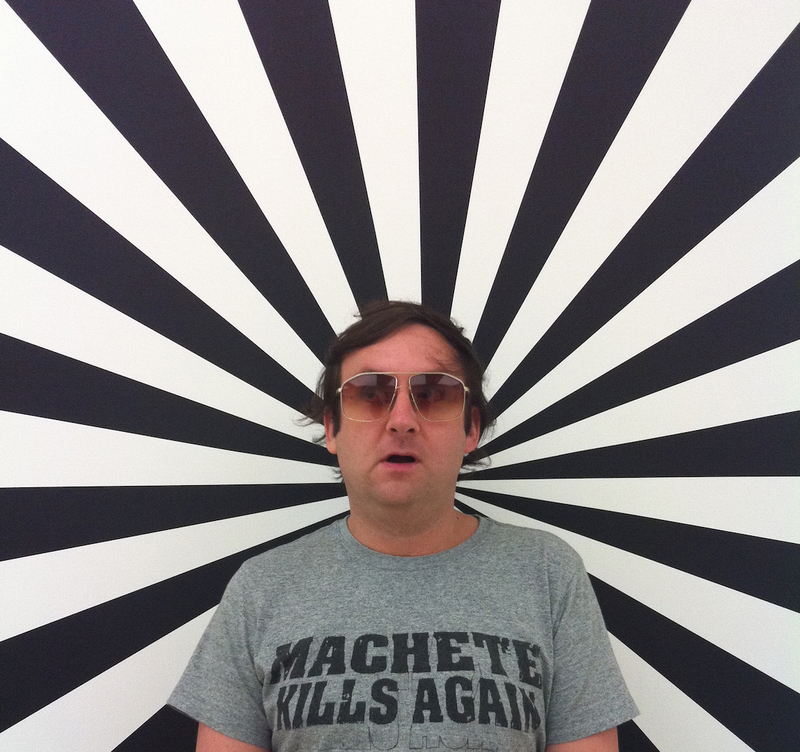 Mojoko (aka Steve Lawler), the founder of art collective House of Mojoko, Kult3D communications agency and Kult Magazine, doesn’t have the answer but he’s making damn sure that we at least ask the question. 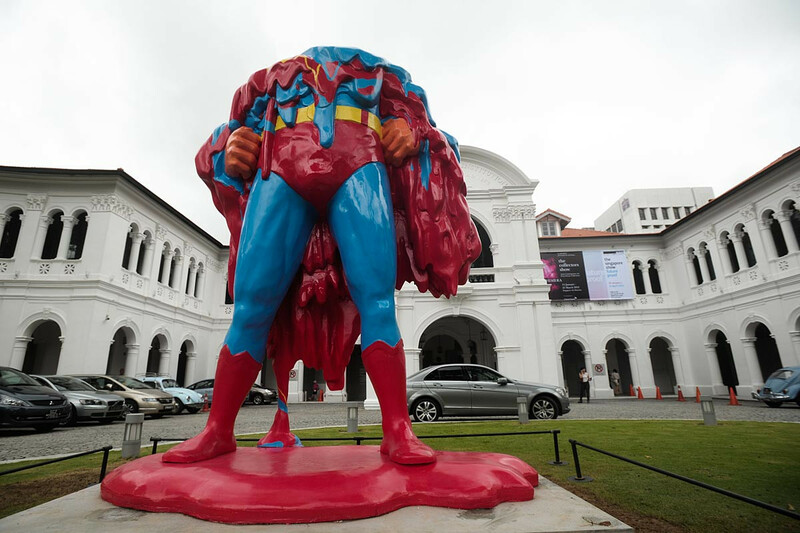 You may have seen the larger-than-life Melting Superhero in front of the Singapore Art Museum (SAM) during the 2012 Future Proof exhibition. A collaboration between Mojoko and fellow artist Eric Foenander, the massive figure in blue tights and a red codpiece was hard to miss and even more striking for its lack of torso and head. At first glance it was comical - this gaudy, brawny mess dripping and dissolving like a giant candle. But it didn’t take long before the message was clear - No One Can Save Us. The title of the artwork sums up how even our superheroes can’t prevent us from continuing to heat up the planet and destroy our own existence. 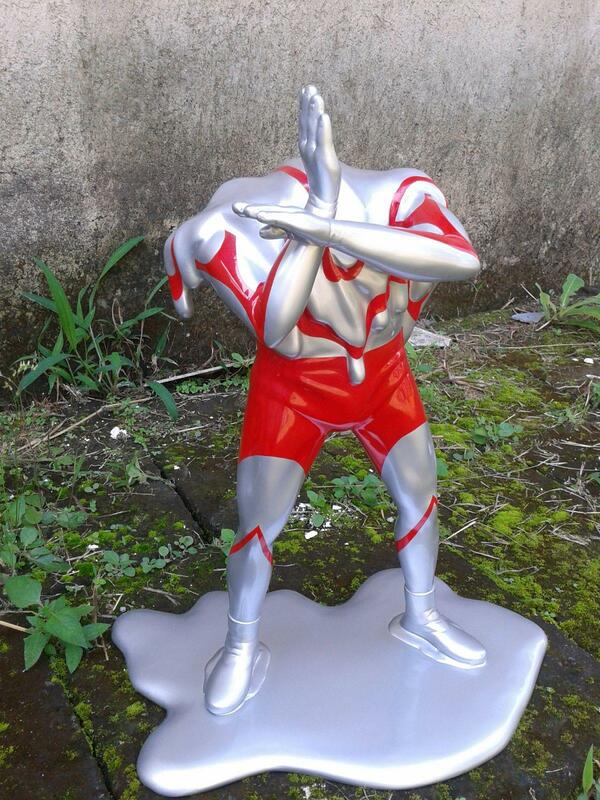 Another case in point is the Melting Ultraman. Following the Fukushima nuclear disaster, Mojoko and Eric took this vintage Japanese character and gave it the same treatment as the original Melting Superhero and displayed it during an exhibition in Tokyo. The effect was powerful to say the least. 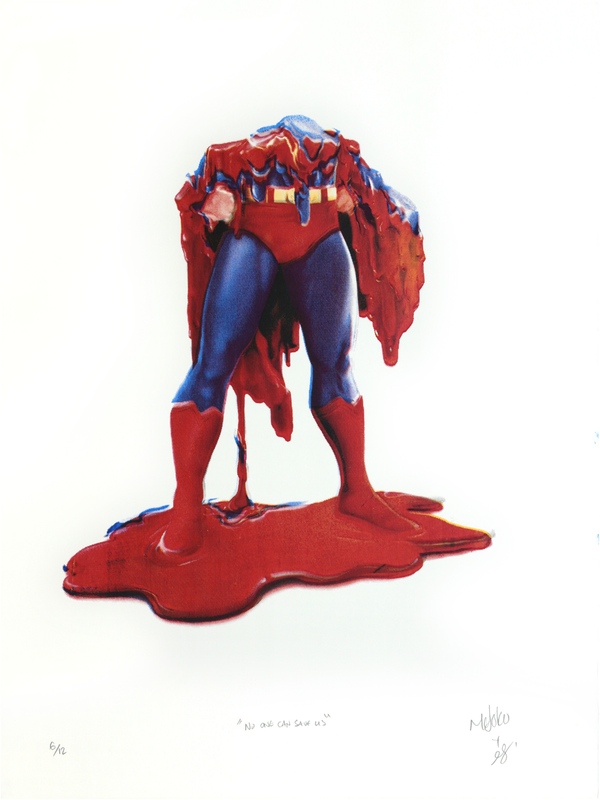 “Here was this beloved, invincible hero and he was now reduced to a melting mess, powerless to stand up to what humans are capable of doing to our own earth,” explains Mojoko. The fact that Ultraman traditionally sources his power from a sun that could now destroy us was a bonus element that simply heightened the irony of the piece. At face value it’s a depressing message - the decline of hope in a modern world. Mojoko’s intention is not to move us to abject nihilism though. “I’m not offering solutions to a problem. But I’m not saying that hope is dead either. By taking ugly subjects and making them approachable I’m able to entertain people and make them more receptive to an idea, to wake them up to an issue.” So maybe the themes running through his work could be framed as less zombie apocalypse and more REM-style It’s the End of the World as We Know It. Who knows what possibilities the new world might bring if we maintain hope. So maybe it’s time to save ourselves. We’re our own worst enemies – why can’t we be our own heroes too. But when it comes to Trump v Clinton, let’s hope that girl power really is a superpower. For more information on Mojoko and to secure a sought-after, limited edition "No One Can Save Us" serigraph get in touch with the knowledgeable folk at Addicted Art Gallery. Up in the sky, look: It's a bird. It's a plane. It's “No One Can Save Us” by Mojoko and Eric Foenander!